You’re a second-tier supplier who last furnished materials to a first-tier subcontractor on a Fort Bragg project on December 13, 2013. Today is the 89th day since your last furnishing, and you still haven’t been paid. Realizing your claim notice deadline is fast approaching, you send your claim to the prime contractor by certified mail, return receipt requested this morning. The prime will receive the notice and sign the green card on March 14, the 91st day after your last furnishing. Was your notice of claim timely? In Pepper Burns Insulation, Inc. v. Artco Corp., the Fourth Circuit Court of Appeals held that a second-tier claimant’s Miller Act payment bond claim was barred because its pre-suit notice of claim was not actually received within the statute’s 90-day window. 970 F.2d 1340, 1341-42 (4th Cir. 1992). Pepper Burns therefore established an actual receipt standard as opposed to a “mailbox rule” for complying with the 90-day notice requirement of the Miller Act. Bottom line? Don’t wait until the last minute to provide notice of claim under the federal Miller Act. If you’re relying on the U.S. Postal Service, consider calendaring your deadline no more than 75 days after your last furnishing. Why leave at least 15 days for receipt by the prime contractor? Because the claimant’s notice in Pepper Burns was actually received 11 days after mailing! In my book, a conservative approach is always best when it comes to complying with lien and bond notice requirements. Deadlines can be deadly, can’t they!?!. I’ve lost sleep over more than one deadline in my career, as I’m sure you have too. Just had to comment to say I LOVE your wise, hard-hat wearing owl. Thanks, Melissa! 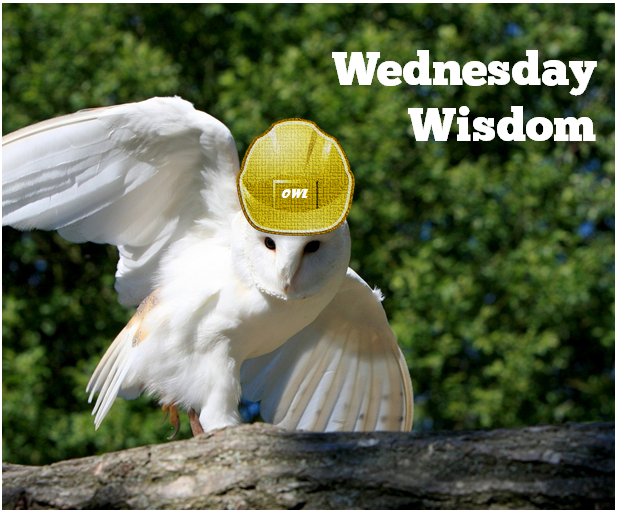 Yes, I spent part of a recent Sunday evening photo-shopping a hard-hat onto an image of an owl. Somehow that seems entirely normal. What’s wrong with me?